We have raised, from GoFundMe and cash donations $105,000. We only have $45,000 to go!! Paige was born in 2003 and is currently 14 years old. She was very healthy and active all her life. As a child she loved dancing and was in dance classes for many years. When she was 12 years old, at a routine check-up, the doctor noticed a slight curve in her back. It was a very slight curve at the time but the doctor recommended Paige see a scoliosis specialist at Shriners Hospital just to be sure. Our first appointment revealed that Paige had a 32 degree thoracic curve and a 28 degree lumbar curve. The treatment was bracing. She needed to wear the brace for 18-23 hours per day. Paige was devastated and very frightened about the unknowns of this disease. Her condition extremely affected her self esteem and self confidence. She stopped dancing and battled the physical, emotional and social struggles that come with scoliosis. 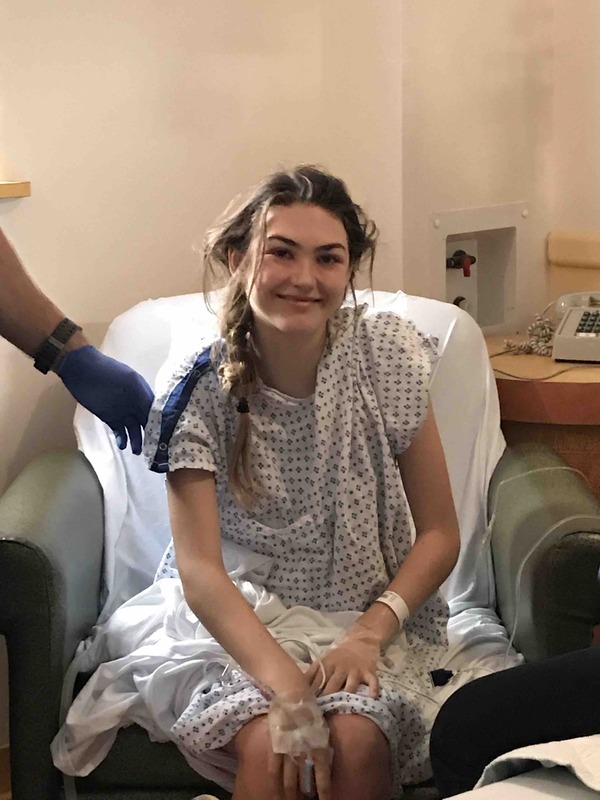 Paige wore the brace for months but her thoracic curve continued to progress to 70-73 degree and her spine twisted causing a hump in her rib cage. 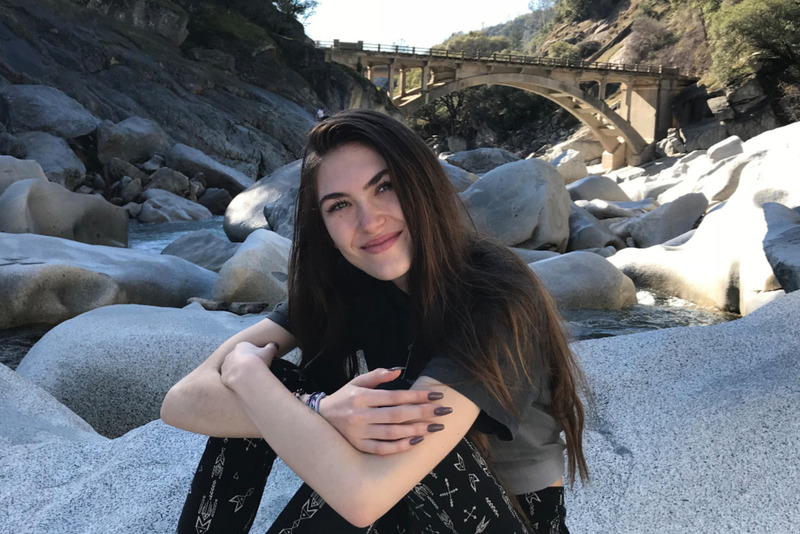 Her curve has progressed to “severe scoliosis.” We sent her to an intense physical therapy clinic that specializes in scoliosis in Green Bay, Wisconsin and continued with home exercises for several months. Her curve held at 73 degree. 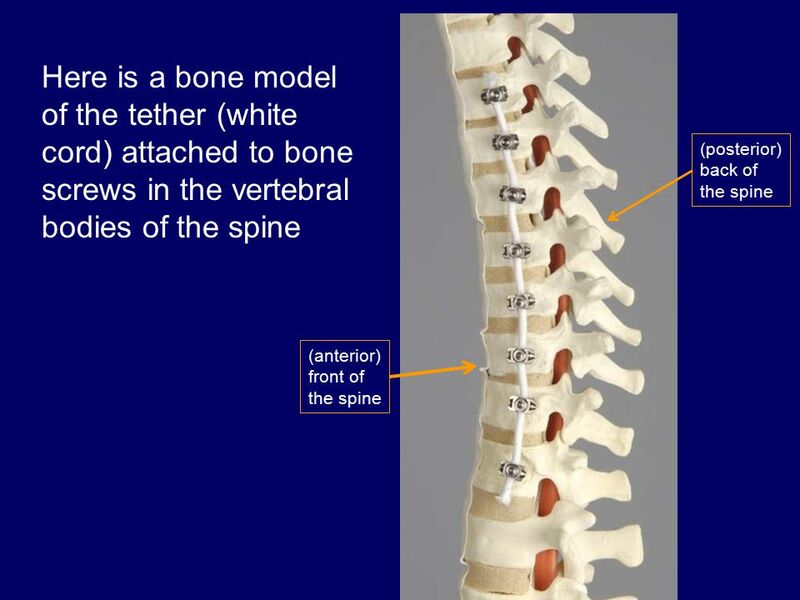 Still concerned about the future of Paige’s health, we contacted several doctors regarding the VBT (Vertebral Body Tethering) procedure, including doctors in California. 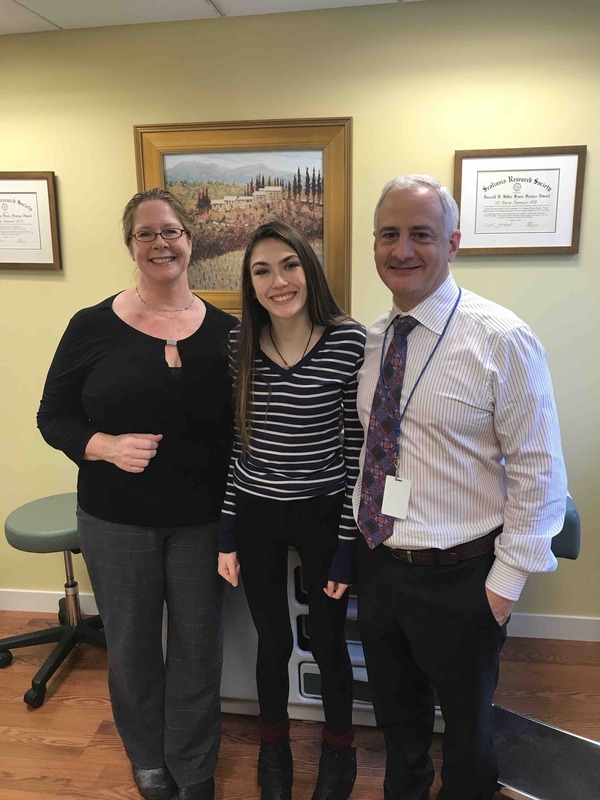 All the doctors were uncomfortable doing the VBT because of Paige’s skeletal maturity and the degree of her curve except for one group of surgeons in New York, Dr. Antanocci, Dr. Betz and Dr. Cuddihy, also known as Drs. ABC, at the Institute of Spine and Scoliosis. These doctors are the ones who pioneered the VBT procedure over 15 years ago. They have perfected the procedure and have had incredible success treating similar cases of severe scoliosis. 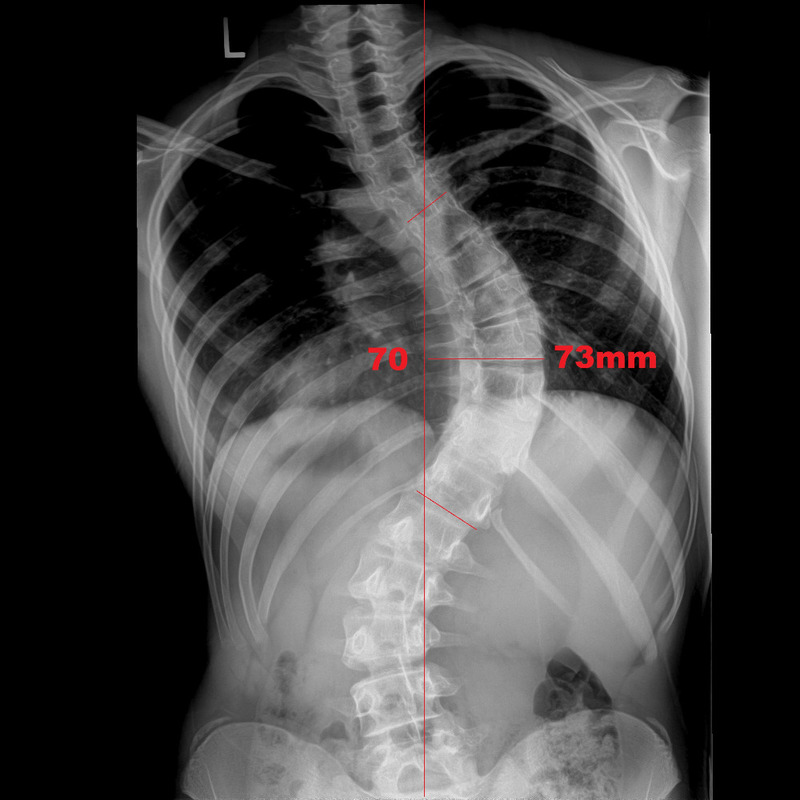 They now call the procedure Anterior Scoliosis Correction (ASC). We flew out to New York to meet with Drs. ABC. All the doctors examined Paige as a team. They were very confident that they could do surgery on her and felt Paige would be a great candidate for the ASC procedure. This procedure will straighten Paige’s back and still give her mobility. Our hearts filled with hope when we learned that these doctors could help Paige. Hearing so many no’s from other doctors made it seem like we were fighting an impossible battle. The road up to this point has been full of struggles but knowing that this surgery is available for Paige has given us light at the end of what was a seemingly hopeless tunnel. Drs. ABC are Paige’s only option for the ASC/VBT procedure. Paige’s insurance only covers medical services in California. 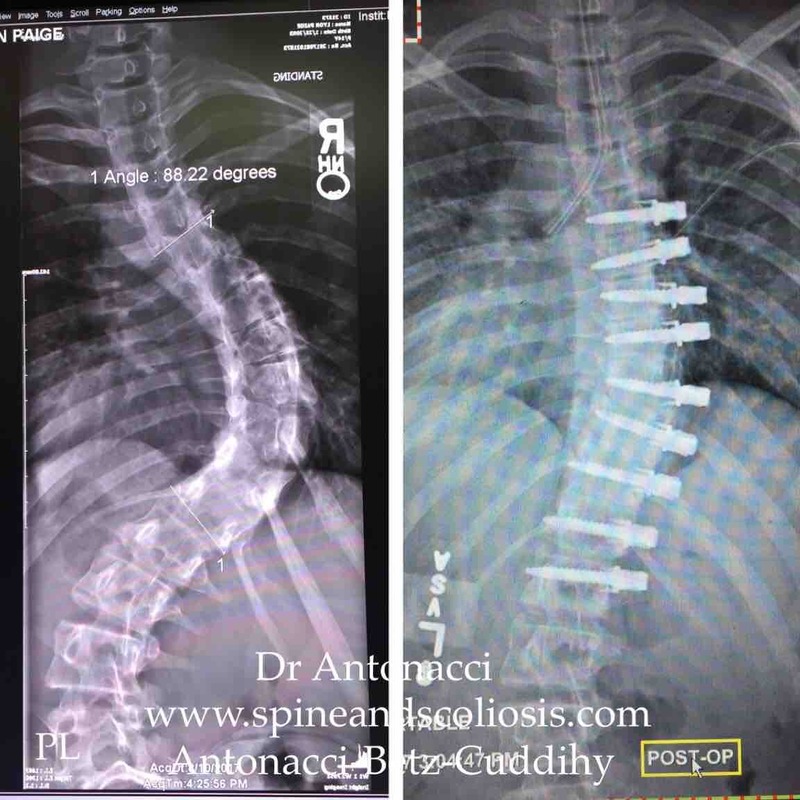 The ASC procedure, performed by Dr. Antonocci and his team from the Institute of Spine and Scoliosis, can only be done in New York and New Jersey. They are the only doctors who can treat severe cases of scoliosis. As a result, all expenses, including surgeons, hospital, anesthesiologist and hardware fees will be out of pocket. Both the surgeon fees and hospital fees must be pre-paid for the procedure to occur. By doing the surgery as soon as possible, her remaining growth will help reform her muscles and bones. Time is of the essence. We are asking for your donations to help with the expenses. We can’t do this without reaching out and asking for donations. Please help Paige live a healthy and full life. This surgery will give her a chance. 100% of all donations will be directly used to pay for the surgeon fees and hospital fees (including anesthesiologist, radiologist and hardware fees). Paige Lyon's GoFundMe account has been set up by her parents and extended family residing in Nevada County, CA (Grass Valley/Nevada City). Thank you so very much. Please share and help spread the word. Wow. I can’t believe an entire year has past. Today is the one year anniversary for Paige’s surgery. One year ago today, we all were anxiously waiting for Paige for to come rolling out of the surgery room. We were full of so many emotions. Fear, hope, excitement, anticipation are only a few of the sea of feelings we all felt. August 16th will be a day we will never forget! The days and months following her surgery were most challenging for Paige. Being bed ridden, sick from medication and the craziness of the daily routine most certainly took it’s toll. Many days started with uncontrollable crying and Paige yelling out, “I can’t do this anymore!” Well, she did do it and she made it through! And looking back, she did it with strength and tenacity. All with her focus on having a healthy and straightened back and to live a “normal” life. Paige, you are a true hero! 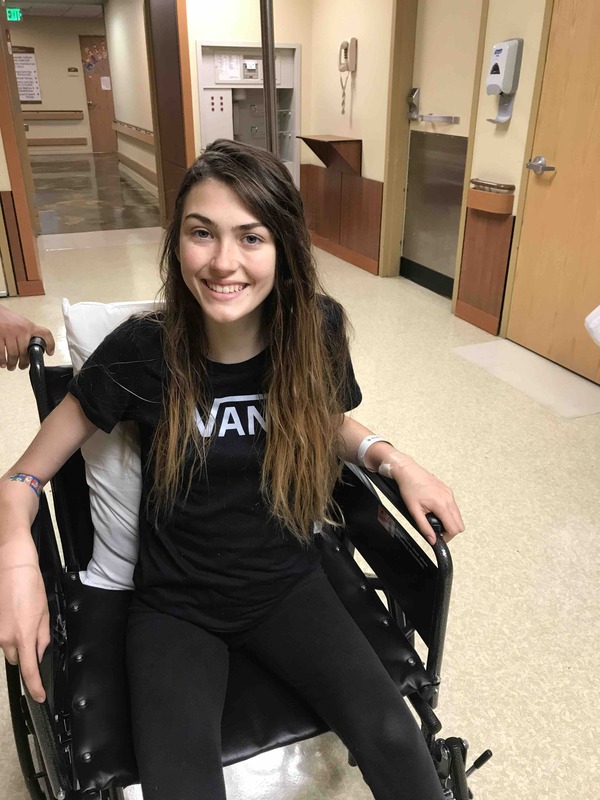 Recently, Paige completed her physical therapy. When she began the therapy, she was very week and struggled to get through her therapy. The last month most of her strength returned and she loved going to her appointments. Her physical therapy helped her so much and made such an impression on her she has decided physical therapy is what she wants to do for her career. In fact, she is already setting up an internship with her physical therapists for her junior and sophomore years of high school. Paige finished her freshman year of high school last June. She did pretty well considering being behind a few months because of her recovery period. This summer was the first time in many years that she could wear a swim suit and tank tops. You could always catch her smiling when she looked at herself in the mirror. We went camping, swimming at the rivers, played in the ocean and spent late nights laughing and talking about life. It was like we all needed to catch up on life. A life void of scoliosis, surgery, fear, hope and worry. It was a season of a new life. Today, in honor of Paige’s Surgery Anniversary, we want to thank everyone that helped make Paige’s surgery possible. So many family members, friends, co-workers, members of the community, businesses and anonymous donors came together and changed a young lady’s life. We can’t thank you enough. Everyday that passes we think about the kindness that was given to Paige. Our love goes out to you all. Once again, Thank You. It’s been a while since we updated. I know many have been following the progress of Paige’s surgery. We apologize for the silence. We all have been trying to catch up with life and now the dust is starting to settle and we feel we are getting back on track. Paige is now 6 months post-op. The first few month she was recovering from the surgery. She spent most of that time in bed. The last couple of months she has been catching up with school because she missed the first few months of her freshman year in high school. Paige is currently in physical therapy and still working to get her strength back. Being that her surgery was pretty major, it’s taking a lot of work to get her body to adjust to the new position of her spine. It’s been no easy task for her but she is working hard. We flew back out to New York this week to meet with her surgeons for a post-op follow. Paige’s post-op appointment went great. Her doctors are very pleased with everything. She was an extreme case for them because she was so curved and her spine was very stiff when they performed the surgery. They revisited all her X-rays today going back over the last year. The day of her surgery she was 90+ degrees. Today, 6 months post-op, she is around 26-28 degrees. They were very pleased with the results. They insisted a few more months of physical therapy to gain her strength back. I threw Paige under the bus about her eating habits (she eats like a bird). They stressed the importance of food and nutrition to help her recovery process. They recommend her to shoot for 10lbs of muscle gain. She understood and hopefully the next few months, with PT and new eating habits, she will be on her way to a full recovery. We will keep everyone posted on her progress. Thank you again for everyone’s support and love. I can’t tell you how much this has changed Paige’s life. Both physically and mentally. This experience has changed her profoundly and she views herself and the world around her in a new way. She is an inspiration for many and has accomplished so much so far. Watch out world. An amazing and beautiful lady is here to stay. Again, Thank you so much for the love and support. She couldn’t have done this with you all. It’s now a few days shy of 7 weeks post op for Paige. We’ve been home for almost a month now and Paige is doing great and healing well. The first few weeks at home she was really sore and still pretty weak. But each day she became stronger and her pain was manageable. She stayed in her room/bed most of the days and would walk around the neighborhood for exercise. Each week she could sit up and be standing and/or walking for longer periods of time. 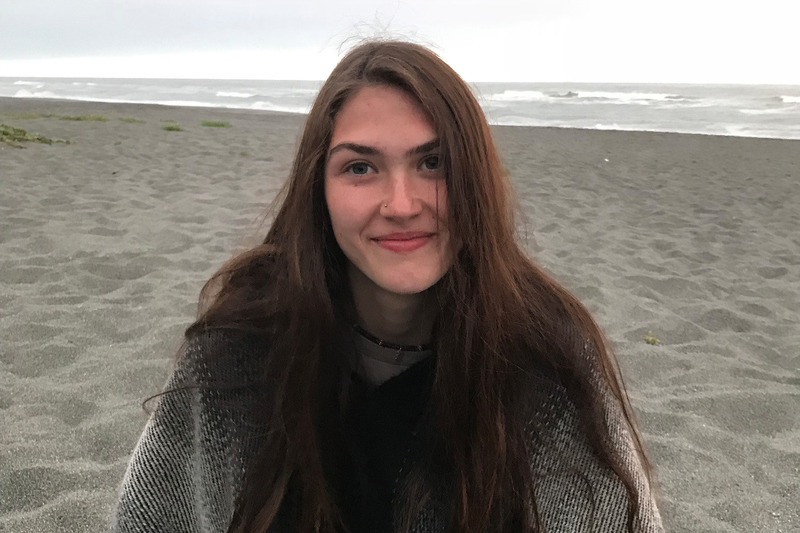 She has been completing a home schooling program through her high school which has allowed her to keep current with her school work. Today, Paige attended high school for the first time. She felt strong enough to go back to school. The challenge has been for her to be “up” for a long period of time. But today, she made it through the whole day and was only a little sore at the end of the day. She was so excited to start school and start her new life. And as anyone can imagine, being at home in bed can drive you a bit crazy. Her curve going into surgery was 90 degrees. Currently, her curve is about 20 degrees but will lesson as she finishes growing. She has 100% flexibility. In fact, she is more flexible now than she has been in over 2 years. Her pain and soreness is still part of her daily life but is getting less and less. We will go back to New York in January for a follow up appointment with the surgeons. We expect she will be recommended to do physical therapy to help her healing, muscles, etc. Thank you for following and supporting Paige. Your support and love has carried her through this treatment. She couldn’t have made it through without you all. Hello everyone. For those that have not been following Paige's Facebook updates I wanted to fill everyone in. Paige had her ASC surgery on Wednesday, August 16th. The surgery went very well. Prior to the surgery, her curve had progressed to 88 degrees. Because of this, she had major reconstruction and the surgeons said she was an extreme case but they were extremely happy with the results. 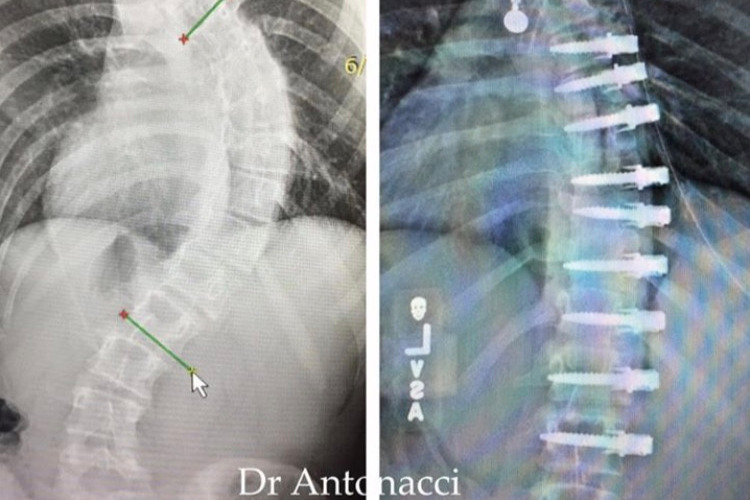 They ended up doing six disk releases (shaving the pads between the vertebrae) and six rib releases (cutting six ribs next to the vertebrae and shortened them about 1.5 inches) to release all the pressure in order to get her spine straight. Her rib hump will be gone for the most part and she should look beautiful and straight. It will take her body several months to adjust to all the work that was completed. Currently her curve is down to about 20 degrees and since she is expected to grow more, this will lessen even more. When she woke up from the surgery her first words were "I did it" and she wanted to see her X-rays to see how everything turned out. As soon as all the doctors finished fiddling around with the tubes and wires she settled in. She could immediately feel the difference in her body. She could feel that she could lay flat for the first time in over two years and started to cry because she was so excited and happy. I took a picture of the incision area to show her and she thrilled about how minimal it was. The following days at the hospital were big days for Paige. She was able to sit up, stand and move to a chair to sit for about a half of an hour before she got tired. She had he ups and down during recovery. Some days were harder than others but all of her nurses were amazed at how well she was progressing in her recovery. Most patients don't sit up until at least the second day (sometimes third day) of recovery. They all called her the California rockstar!! I'm pretty sure it's from all the support and love being sent her way!! Paige was released from the hospital Monday evening and has been on the mend at our hotel since then. She struggled a bit with nausea and low appetite but most of that has passed. Everyday she is getting stronger. At first sitting and standing were difficult but now she can sit, stand and walk pretty good considering the magnitude of her surgery. She's still a little delicate and frail but will gain more strength each day. She has bouts of unsettledness and sometimes feels like she needs to run a marathon. But we know that can't happen yet. We just take her for walks around the hotel or a wheelchair ride to the nearby downtown area. Anything to get her out and about. Hotel life can drive anyone crazy!!!! Today, Paige's Doc came to the hotel to do a follow up and change her dressings. Everything checked out great. She still extremely sore, but to be expected. We have been a little nervous that she wouldn't be able to flying home but she has come so far in these last few days. Our plans are to come home tomorrow and power through the flight back to Cali. It's still really hard for her to sit up for any length of time but she is really anxious to get home to see her family and friends. Tomorrow is going to be a challenge for her but we are ready to take it on. She is going to be digging deep to make it through the flight home. Keep her in your thoughts and send her strength to make it home. It feels like we've been here a month and have been through so much in the last few weeks. She's one tough girl and we couldn't be more proud of her and her inner strength. She is so amazing. She is truly my hero and has become an inspiration to many that have been following her through this journey. We love you Paige Lyon!!! Once again, thank you to everyone that donated to Paige's surgery. She couldn't have done this surgery without the help of everyone that donated. Please know that she and her family appreciate your help so very much. First day out of surgery. Chad, or Paige, JImmy's grandparents would love to donate a $40.00 gift certificate for the silent auction. If you want this call my cell phone (nancy Troutner) 305-1512 and I will write it up and have Jimmy bring it to you. GREAT news! Best wishes for your continued recovery and future life! My heart soars over the success of Paige's surgery. I could not begin to comprehend the extent of her condition until seeing the before and after x-rays... even so, it seems nearly inconceivable that any surgery could have corrected so severe a condition to this astonishing degree. May her recovery continue to be blessed with the same degree of healing grace. Was inspired by your story in the brochure paid for by Coldwell Banker Grass Roots Realty, which has been on my desk for months. Hope you continue to get better after surgery. We are so happy about your wonderful progress!